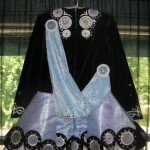 Sparkling solo dress with striking stage presence; in wonderful condition. 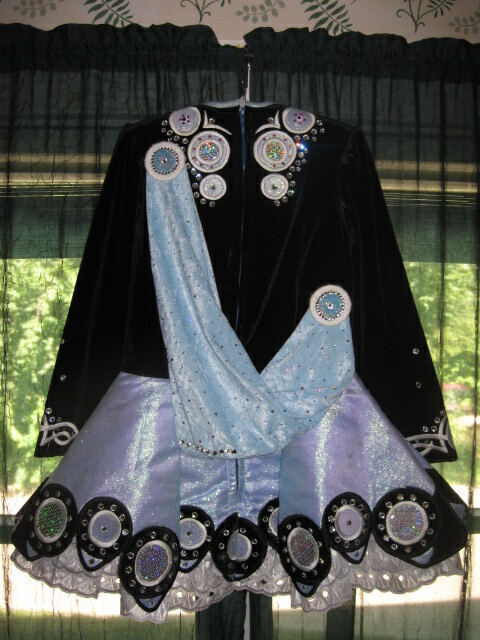 Bodice, sleeves and portions of the skirt are black velvet; skirt and other accents are baby blue. 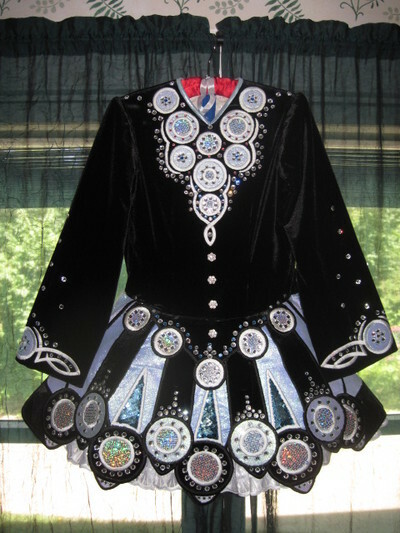 Adorned with Swarovski crystals as well as silver and blue sequins on the skirt accents. Dress suitable for Novice or Prizewinner. From smoke-free home. Headband and bloomers included. Asking Price: $US800. Shipping costs are included for my own country, overseas shipping is extra. Will accept returns and refund the cost of the dress, buyer to pay all shipping costs.